Kailyn earned her Bachelor’s degree in Business Management from Colorado State University-Pueblo while playing on the Women’s’ Soccer Team. Upon moving back home to Southern California, she pursued her dream of owning her own business. Whether she was taking friends out on the ocean for the first time, planning a summer vacation to Catalina Island, finding peace within a Memorial at Sea, or simply getting off land to find balance and enjoy a sunset, the ocean and her family’s vessel the Por Vida, have been her stronghold through all waves of life. She believes the ocean speaks for itself. Witnessing the pure joy and the memories made on the Por Vida, instilled the idea to create a business that shares the ocean with everyone. She lives by the words “Take care of people and business will take care of itself” and truly aspires to make every charter a special and memorable experience. Captain Kirk has exceptional knowledge with working on and operating vessels and is known for his ability to bring humor and positive energy aboard every charter. Kirk grew up in the South Bay, participating in Junior Lifeguards, surfing and living out the summers on the ocean. Having his extensive local insight can make him not only your captain but a tour guide of the South Bay area. He is a dedicated Captain, always improving his skills and ensuring that his passengers get the most out of every experience. He will go the extra mile whether it’s to find the pod of dolphin, or get you in the perfect spot for sunset. 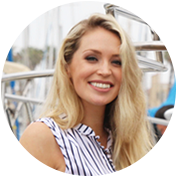 Captain Konnor has years of experience with working on and operating vessels in the South Bay area. 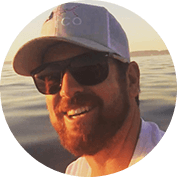 He completed his bachelor’s degree in Business Management and shares a passion for the ocean and the boats that enable people to experience it. Konnor grew up in the South Bay, participating in Junior Lifeguards and enjoying the summer months on the ocean. If you are new to the area, Captain Konnor will ensure your time is well spent. Konnor is a devoted captain who holds himself to the highest of standards and ensures that his passengers are enjoying every minute of their charter. He is known for his contagious laughter, witty puns and ability to play the music that keeps the good vibes flowing! 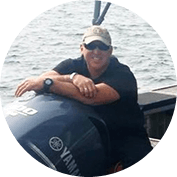 Captain Keith has fully committed every aspect of his life to the ocean. From restoring the Por Vida for his family, to dedicating his career to running boats for the LAPD, he could not be more in touch with the ocean and the positive effect it has on people’s lives. Keith is a steadfast captain who takes his job very seriously and never fails to connect with his passengers and guarantee they get the most out of their experience. He cares deeply, and between close friends and family is considered a modern-day pirate on his off days. 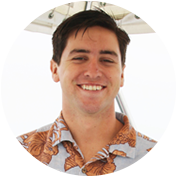 Zach is our most experienced captain as he obtained his Captains License at the age of 18, ran the Catalina Marina Del Rey Flyer from 2007-2012, and founded his boat repair company, Bryson Marine, out of Redondo Beach, California in 2013. The knowledge he possesses can only come from the countless hours spent on operating and repairing vessels. He uses this knowledge to provide the best experiences for people looking to enjoy the ocean. He is also known for his love of country music and his impressive mustache! Zachary lives by, “He won’t do anything he isn’t proud enough to put his last name on”.